When a twist of fate delivers an ambitious young medical student to the court of King Charles II, he is suddenly thrust into a vibrant world of luxury and opulence. Blessed with a quick wit and sparkling charm, Robert Merivel rises quickly, soon finding favour with the King, and privileged with a position as 'paper groom' to the youngest of the King's mistresses. But by falling in love with her, Merivel transgresses the one rule that will cast him out from his new-found paradise. 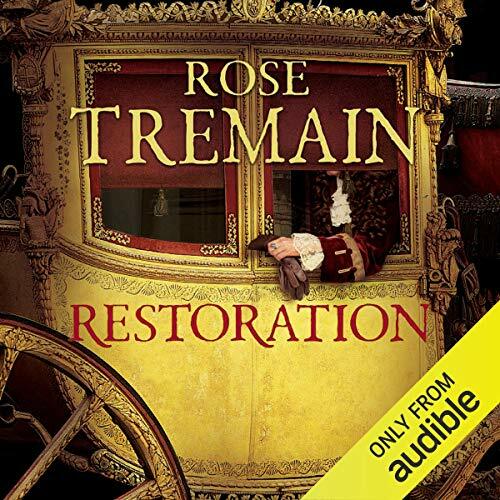 Determined to be restored to the King's grace, Merivel begins a journey of self-knowledge and soon discovers that the King's pleasure is equally matched by his wrath.... Rose Tremain's novels have won many prizes including: the Whitbread Novel of the Year (Music and Silence); the James Tait Black Memorial Prize and the Prix Femina Etranger (Sacred Country); the Sunday Express Book of the Year, the Angel Literary Award and shortlisted for the Booker Prize (Restoration) and a Giles Cooper Award (for her radio play, Temporary Shelter). Her novel The Colour, was shortlisted for the Orange Prize, and selected for the Daily Mail Reading Club promotion. In June 2007 Rose was made a CBE in the Queen's Birthday Honours.